At present, the bank has a network of over 430 branches and more than 240 ATMs across India. The Bank also plans to open more number of branches in a phased manner. "CSB endeavours to be a leading South India Based bank striving to excel in bringing products that satisfy the needs of targeted client segments, backed by excellent service – through our branches and technology driven initiatives in a compliant and regulated manner. For our Employees, we want to create a culture of Pride – driven by performance and productivity that should eventually result in sustainable growth in business and deliver superior returns to our Shareholders." Apartment No.1091, Sobha Topas,9th floor, Tower -1, Sobha City,Puzhakkal, Thrissur -680553. Shri. C. VR. Rajendran was appointed as the Managing Director & CEO of the Bank with effect from December 9, 2016. Shri. Rajendran is a seasoned banker with solid grassroots level Indian banking experience spanning more than three and a half decades. He has hands-on cross functional experience in every aspects of banking spread across Branch Operations, NPA / Asset quality management, Business process reengineering, Productivity enhancement, Corporate/Industrial Finance, Merchant Banking, Treasury Operations, International Banking, Primary Dealership, Collection and Payment Services, and Information Technology. Shri. Rajendran was holding the position of Chief Executive Officer of the Association of Mutual Funds in India prior to joining in the Bank. Prior to this, he has held other key positions like Chairman and Managing Director of Andhra Bank (December 2013-April 2015) and Executive Director at Bank of Maharashtra (March 2012- December 2013. He has also held various positions including that of General Manager in the Corporation Bank (1978- 2012). Shri. Thomas Mathew is an Independent Director of the Bank since April 24, 2017. He is a fellow of the Institute of Chartered Accountants of India. Shri. Thomas Mathew joined Lovelock & Lewes (a member firm of Coopers & Lybrand International) in 1977 and was admitted as a partner in 1988. Following the merger of global firms Price Waterhouse and Coopers & Lybrand in 1998, he held various leadership positions of the member firms of PricewaterhouseCoopers, including that of Customer and Industrial Products Industry, Assurance, Pharmaceutical Industry and Compliance and Risk Management focussing on Corporate Governance, Ethics, Sustainability etc. He was also a member of the Global Leadership Teams on Consumer and Industrial Products, Pharmaceuticals as well as Compliance Risk Management. He has over 35years experience in statutory audits, Internal audits and Due Diligence reviews of large multinational as well as Indian companies spread over various industries. Thomas Mathew retired from the firm in 2011. Shri. 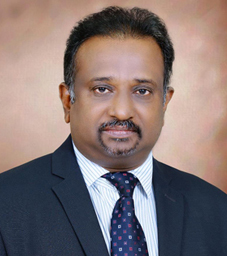 Thomas Mathew was appointed as an Independent Director on the Central Board of State Bank of India in January 2013 and continued till the end of the term. During this period he was member of various Committees of the Board including Audit Committee, Risk Management Committee, Special Committee for Monitoring Large Value Frauds, Shareholders Grievances Committee etc. Shri. Thomas Mathew served as a member of the Research Committee of the Institute of Chartered Accountants of India. Shri. 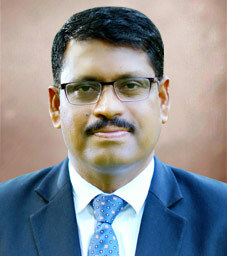 Madhavan Karunakaran Menon is a Non-Executive, Non-Independent Director of the Bank. He holds a Bachelor’s Degree in Business Administration and an MBA in Finance and International Business, both degrees from George Washington University. Shri. Madhavan Karunakaran Menon has a varied background having commenced his career in ANZ Grindlays Bank and subsequently worked in Citibank, Emirates Bank and in the Financial Services Division of the Aditya Birla Group. His areas of interest include Treasury, Corporate Lending, Operations, Corporate Governance, and Strategic planning. Shri. Menon is presently the Chairman & Managing Director of Thomas Cook (India) Ltd (TCIL) which is the leading integrated travel and travel related financial services company in the country offering a broad spectrum of services that include Foreign Exchange, Corporate Travel, MICE, Leisure Travel, Insurance, Visa & Passport services and E-Business. Shri. Menon was on the Board of the Bank during the period August 10, 2016 and up to June 21, 2017 as an independent Director. C, 6th floor, Cnergy, Appasaheb Marathe Marg, Prabhadevi, Mumbai - 400 025. Shri. Sumit Maheshwari is a Non-Executive, Non-Independent Director of the Bank. Shri. Sumit Maheshwari is a qualified Chartered Accountant, holds a Master of Business Administration degree from the Indian School of Business, Hyderabad, and Master of Commerce degree from the University of Mumbai. Mr Maheshwari is part of Fairbridge Capital, Mumbai, Fairfax Financial Holdings Limited's and Fairfax India Holdings Limited's India investment arm in 2011, from its inception. Shri. Sumit Maheshwari was a key member of the team that completed many deals, among others, Thomas Cook (India) Limited, Quess Corp Limited, Sterling Holiday Resorts (India) Limited, IIFL Holdings Limited, Bangalore International Airport Limited, National Collateral Management Services Limited and Fairchem Specialty Limited. Flat No.401, Avarsekars Srushti, Old Prabhadevi Road, Prabhadevi, Mumbai - 400025. Smt. Bhama Krishnamurthy is an Independent Director of the Bank. She is a Post Graduate in Science from Mumbai University. Smt. Bhama Krishnamurthy is a seasoned banker with a sparkling career spanning over 35 years in IDBI (presently IDBI Bank) and SIDBI, an Apex Development Bank for MSMEs in India covering almost all areas of development banking operations viz., Resource Raising and Management (Rupee and Forex), Integrated Treasury operations, Credit Dispensation and Management, Risk management, Management of Associates and Subsidiaries, etc., not only from the policy perspectives but implementation aspects, besides direct credit functions including as Head of Branch operations and member of various credit committees. She had also handled Human Resources Development division covering recruitment, training and promotion aspects. She retired as Country Head and Chief General Manager from SIDBI in December 2014. Shri. A Madhavan is as an Additional Director (Non-Executive & Independent) to the Board of Directors of the Bank. Shri. Madhavan is a seasoned Banker having served the Reserve Bank of India for over thirty seven years in various areas and capacities. He is a Post graduate in Economics from Madras University and a Certified Associate of Indian Institute of Bankers. His skillsets include deep knowledge of IT Systems, Payment & Settlement Systems, Offsite surveillance of Banks, etc. E-Kuber, the CBS system for the Reserve Bank of India was conceptualised, implemented and rolled out after effecting Business Process Reengineering by Shri. A. Madhavan. He had also significantly contributed in the preparation of RFP for RTGS and HRMS solutions of the Reserve Bank. The Habiba, 10, GN Main Street, New Selvam Nagar, Trichy - 620 001. Shri. S. Nagoor Ali Jinnah is appointed as an Additional Director (Non-Executive & Independent) to the Board of Directors of the Bank. Shri. 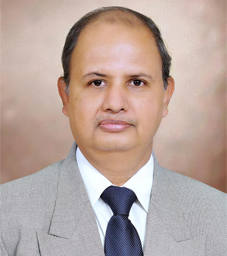 S. Nagoor Ali Jinnah, retired as Chief General Manager, NABARD, Tamil Nadu Regional Office, Chennai in 2018 is an experienced banker who has a fine blend of academics and Pan Indian insights with diverse operational, consulting and policy making experience in addition to international exposure in development banking, supervision and institutional development. He is a Science Graduate in Agriculture from Tamilnadu Agricultural University with a Postgraduate Diploma from Indian Institute of Management, Ahmedabad. He is also pursuing his Ph.D., in Banking, Finance & Insurance from Tamilnadu Agricultural University. Shri. S. Nagoor Ali Jinnah has over 35 years of Agricultural and Rural Banking Experience as an Executive in NABARD. He has special expertise in Project based agricultural lending in agriculture, horticulture, fisheries, animal husbandry and high value agricultural projects and has headed the rural infrastructure funding departments of NABARD. He spearheaded the natural resources based lending projects in the rural banking systems and has headed the Karnataka, Tamil Nadu and Puducherry NABARD Regional offices as Chief General Manager. Shri. S. Nagoor Ali Jinnah was involved in designing and refinancing large area development projects in agriculture in 16 states of the country and was part of the anti- poverty and micro credit programmes in the State of Orissa and Kerala. Shri. S. Nagoor Ali Jinnah designed and implemented high value agricultural projects in Andhra Pradesh, Kerala, Karnataka, Tamil Nadu and Puducherry as a NABARD executive. Shri. S. Nagoor Ali Jinnah was a Director in the Boards of RRB, Tamil Nadu State Co-operative Bank, Karnataka State Cooperative Agriculture & Rural Development Bank and NABARD Financial Services Ltd. – an NBFC-MFI of NABARD and NABKISAN & NABSAMRUDDHI Financial subsidiaries of NABARD as Director. He also has headed the operations of NABCONS, a wholly owned subsidiary of NABARD at Tamil Nadu & Puducherry. He has served as the Chairman of NABARD's Internal Working Group / Committees on ‘Future Business Model for NABARD, and ‘Work Processes, Promotion Policies and Recruitment in NABARD. General Manager, Deposit Insurance & Credit Guarantee Corporation, Reserve Bank of India, 2nd floor, Opp. Mumbai Central Railway Station, Byculla, Mumbai- 400008. Mr. Venkatachalapathy has been on our Board since 2015. He holds a bachelor’s degree in arts (economics) and a master’s degree in arts from the Madras University. He also holds a master’s degree in science (with a major in financial markets) from the Illinois Institute of Technology, Chicago. He is a certified associate of the Indian Institute of Bankers, and holds a diploma in bank management from the Indian Institute of Bankers. He has about five years of experience in commercial banking. He is the General Manager, Foreign Exchange Department of the RBI at Chennai. General Manager & Member of Faculty, College of Agriculture Banking, Reserve Bank of India, Pune- 411006. 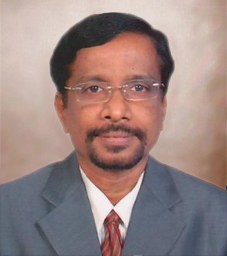 Dr. Subbaiah served Osmania University during 1994-96 as a Lecturer in Business Management. Mr. Thampi holds a bachelor’s degree in science (honours) and a master’s degree in physics from the Banaras Hindu University, and is a fellow of the Institute of Directors. He has about 29 years of experience in the field of banking. 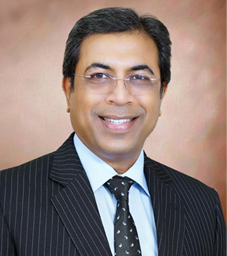 Prior to joining our Bank in 2015, he was associated with ICICI Bank, State Bank of India and Bank M (Tanzania). Mr. Antony holds a bachelor’s degree in commerce from the University of Calicut. He has been admitted as a certified associate of the Indian Institute of Banking and Finance, an associate member of the Institute of Company Secretaries of India and a fellow of the Institute of Cost Accountants of India. He has about 31 years of experience in the field of banking. Prior to joining our Bank in 1983, he was associated with Canara Bank. Mr. Jayashankar T completed his Graduation in Bachelor of Law from Bharathidasan University and his Masters in Personnel Management & Industrial Relations from Madras School of Social Work, Chennai. 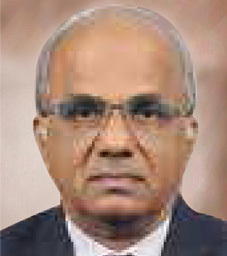 Mr. Jayashankar holds a total experience of 33 years in Indian bank and retired as General Manager (HR) in 2015.Prior to working with Indian Bank, he worked for 3 years with Standard Motors Products India Ltd. and Madras Fertilizers Ltd.
Mr. Mani holds a post graduate diploma in business management from the Institute of Management Technology, Ghaziabad and a bachelor of arts degree in Economics from the University of Delhi. He has around 22 years of experience in the field of banking and financial services. Prior to joining our Bank in 2014, he was associated with The Royal Bank of Scotland, ABN AMRO and Bank of America, among others. 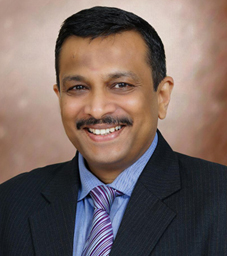 Mr. Rao holds a bachelor’s degree in engineering and a master’s in business administration from the University of Pune. He has about 11 years of experience in the field of banking. Prior to joining our Bank in 2014, he was associated with ING Vysya Bank, Ratnakar Bank and ICICI Bank. Mr. Kumar holds a master’s degree in Commerce from the University of Calicut and is an Associate of Indian Institute of Bankers. He has more than three decades of banking experience, which includes his association with Exim Bank and State Bank of India. Mr. Varghese holds a bachelor’s degree in commerce from the University of Calicut, and a bachelor’s degree in law from the Mahatma Gandhi University. He is an associate of the Institute of Company Secretaries of India. He has about seven years of experience in the field of banking. 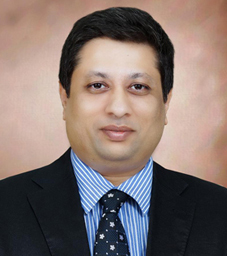 Prior to joining our Bank in 2007, he was associated with M/s Kerala Ayurveda Limited.